Amazon's grocery store concept -- called Amazon Go -- allows you to shop without ever having to go through a checkout register. Amazon has announced the potential opening of a physical grocery store called "Amazon Go" in the greater Washington, D.C., area. The Amazon Go stores are intended to cut down on the amount of time one spends in the grocery store, making it perfect for introverts and shoppers who are in a hurry. According to a report by The Washington Business Journal, there is no official proposed date or location chosen yet, but the tech-savvy store is expected to open early next year at the latest, and there is a chance it could be just a few steps away from the new Amazon HQ2 (which would make sense!). 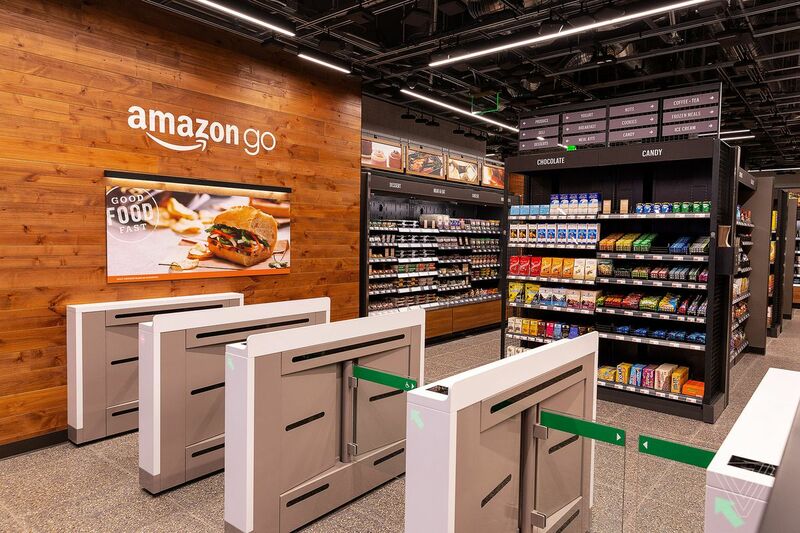 The first Amazon Go location opened back in 2017 in Seattle, Washington, and has received a lot of positive feedback. First, customers download an application to their smartphones. Then, when they arrive at the store, they open the application and scan it at the front door. You pick up the items you want to purchase and place them into your carts. Your phone tracks all of the items you are purchasing in a list to your device. Any item you put back will automatically be deleted so don't worry about doing that manually. As you exit the store, your bill will be calculated and your Amazon account will be charged. That's it! The store would be powered by a web of technology with computer vision, machine learning, and artificial intelligence. Check out this video for a visual aid! Amazon Go is a completely separate concept from the Whole Foods grocery chain it also owns. Are you excited to have a grab-and-go grocery store? Have you visited Amazon Go in Seattle? Tell us in the comments.